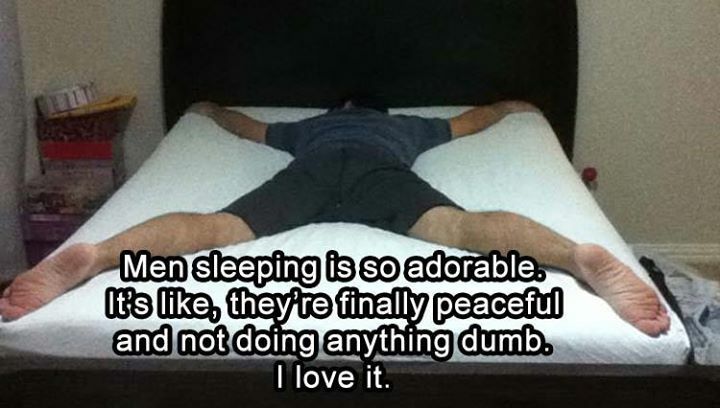 MEN SLEEPING IS SO ADORABLE. ITS LIKE, THEYRE FINALLY PEAC - ProudMummy.com the Web's Community for Mums. MEN SLEEPING IS SO ADORABLE. IT'S LIKE, THEY'RE FINALLY PEACEFUL AND NOT DOING ANYTHING DUB. I LOVE IT.